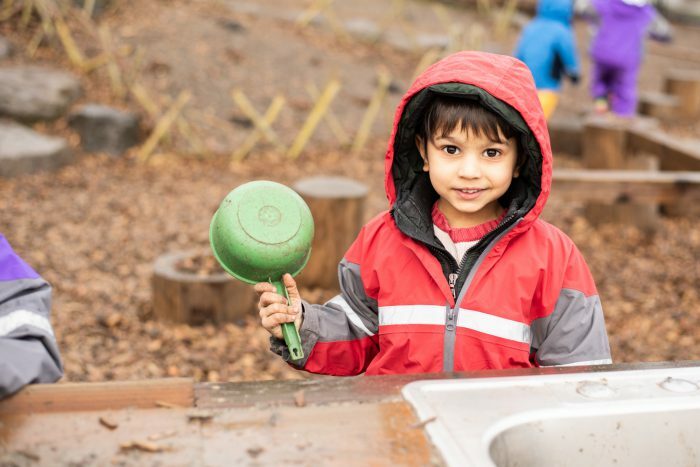 At TIS, school days are designed to blend a balance of routine so the children feel at home and know what to expect, and variety to keep the children stimulated and learning. School officially begins at 8:00am, though students are welcome to arrive up to 30 minutes prior. The children then have free play and can choose to explore learning centers with minimal direction. 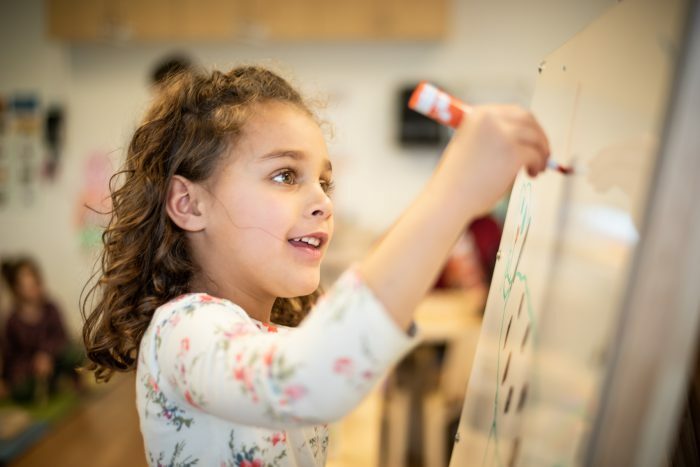 Each grade studies various International Baccalaureate thematic units – four units per year in PreK (3-year-olds), five in LowK (4-year-olds), and six units per year in kindergarten through fifth grade. Throughout the morning, students explore different aspects of their IB theme with a combination of group learning and hands-on activities. Activities are designed to work on language acquisition, fine motor skills, math, writing, and social/emotional development. The students also learn about the theme itself, but our focus on the skills and the process of learning provides a critical foundation for their future. Group activities might include hearing and discussing a story, exploring materials the teacher has brought, playing a game with words or letters, or practicing a dance from the teacher’s country. 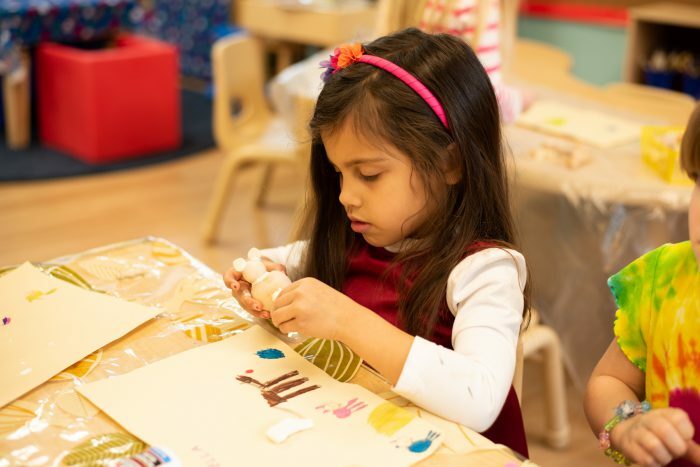 Learning centers are used for individual or small group work, and might include creating artwork that explores the IB theme, hands-on math or science experiments, language activities, or writing letters or characters. The atmosphere is a happy mix of chatter and concentration, as teachers move around to support individual students. Between activities, the children have morning snack (provided by the school or brought from home), and outside recess time as well. Noon – half day students say goodbye for the day. Children eat and socialize with one another and with their teachers. Our three- and four-year-old students nap or rest for about an hour and a half. Kindergarten students have 30 minutes to an hour of nap or quiet time (less as the year goes on and the children don’t need it as much). Afternoons are time for art, PE and music specialists and for visits to the library. Once per week each PreK, LowK, and kinder class has a 45 minute period with our art specialist, a 45 minute period with our PE specialist, and a 45 minute period with our music specialist. After nap there is another set of learning activities, where the students explore concepts related to their IB theme, math, literacy, or teacher’s culture. This could be time for hands-on, small group or whole class activities. Once again between activities, there is another snack. Wow, end of the day already? Scientific inquiry in preschool: Pumpkin Science!